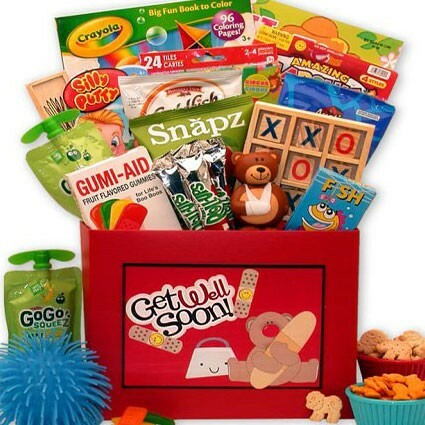 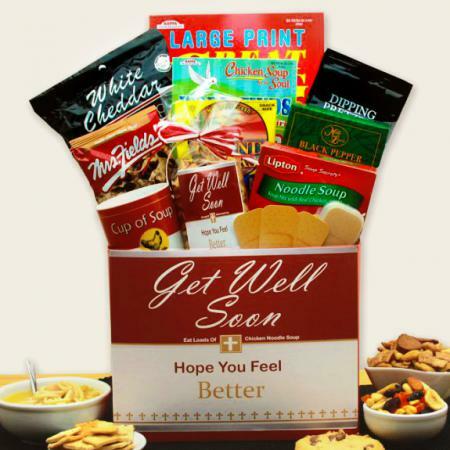 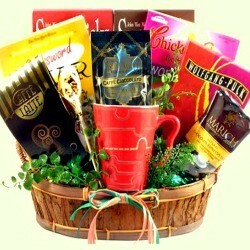 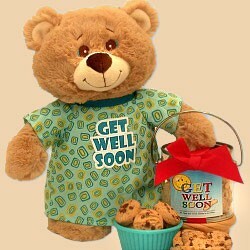 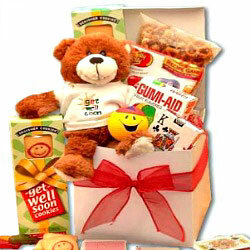 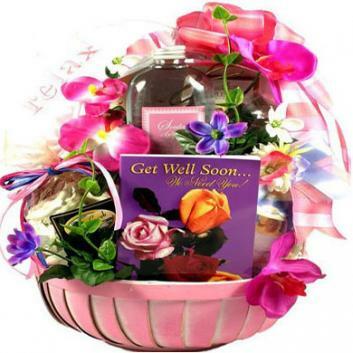 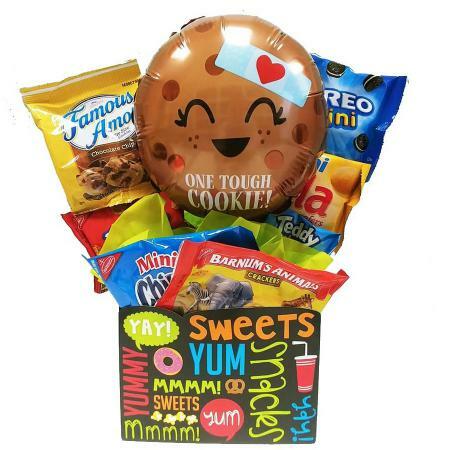 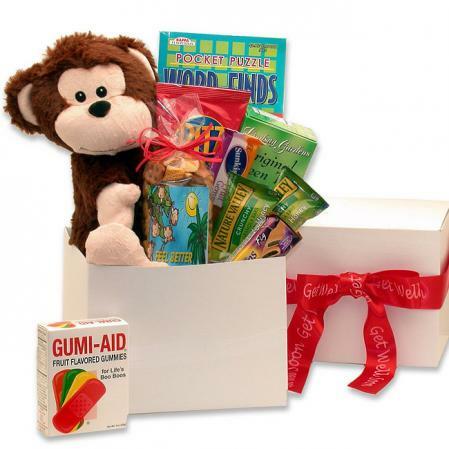 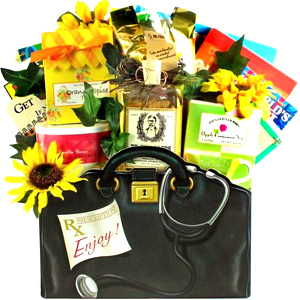 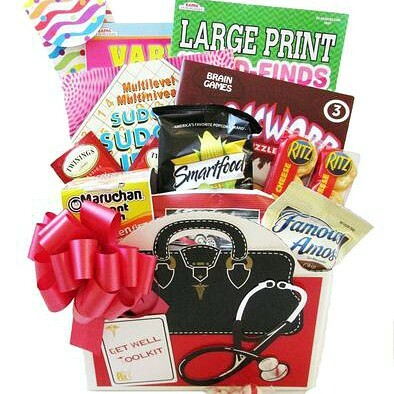 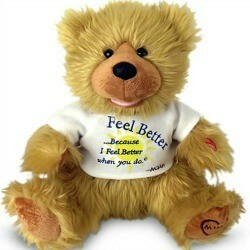 Send this cheerful get well gift box that is perfect for all ages. 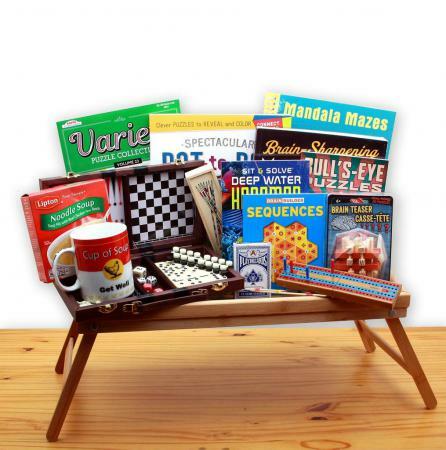 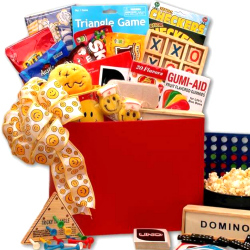 Gift box arrives filled with assorted snacks, treats, and fun time-filling activities. 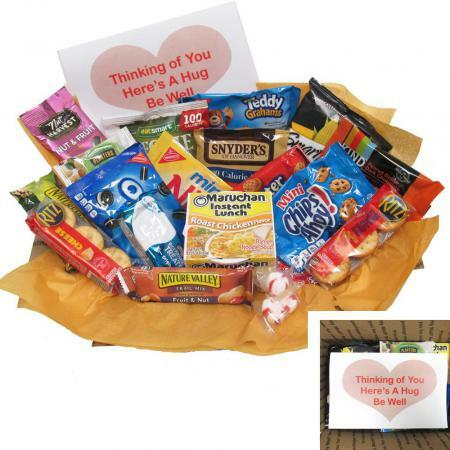 They'll be back to their normal self in no time flat when this thoughtful get well gift basket filled with treats arrives. 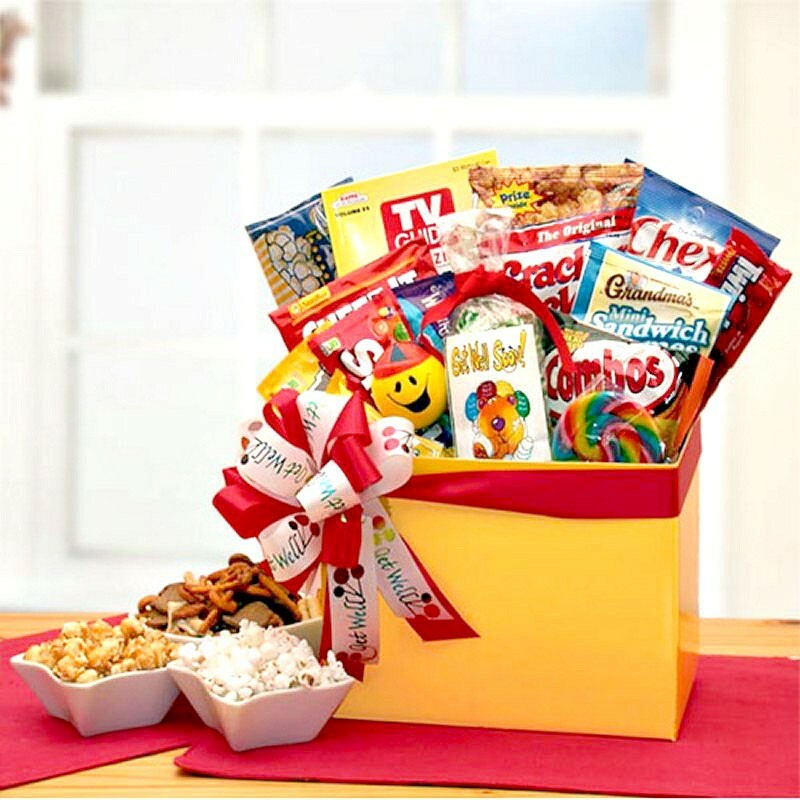 Arrives assembled in a cheerful yellow gift box, packaged in cellophane and finished with a handmade bow. 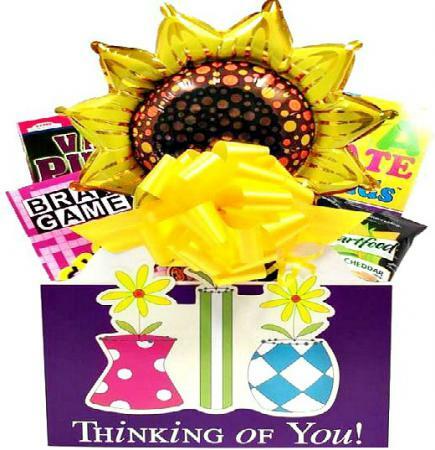 A gift card is included with personalized message! 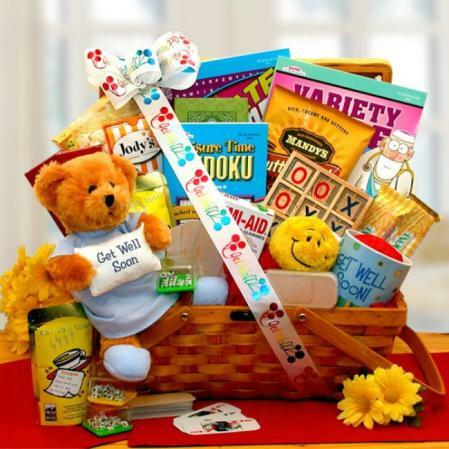 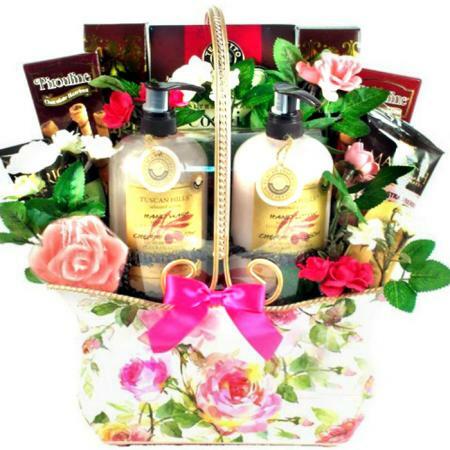 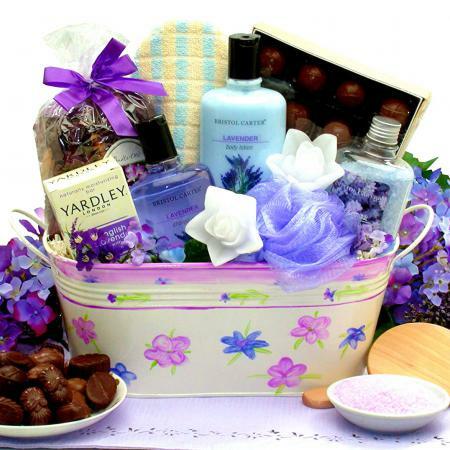 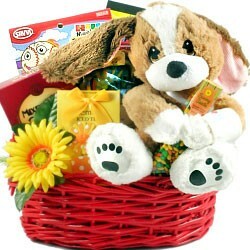 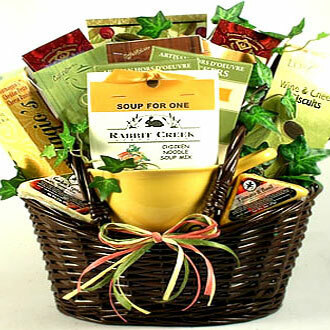 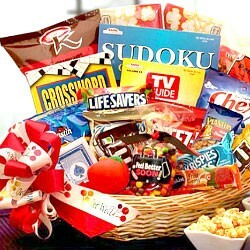 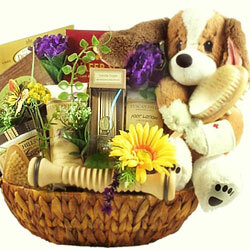 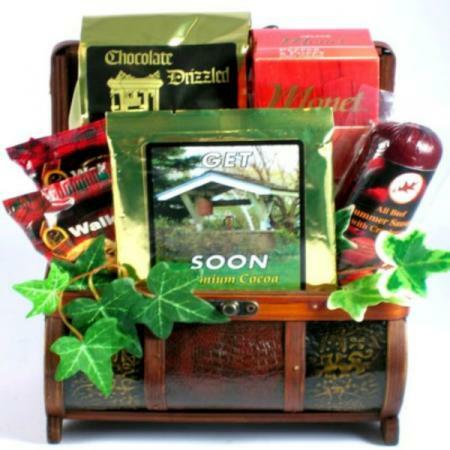 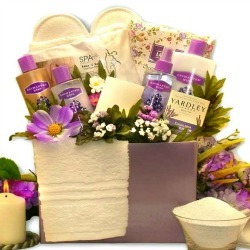 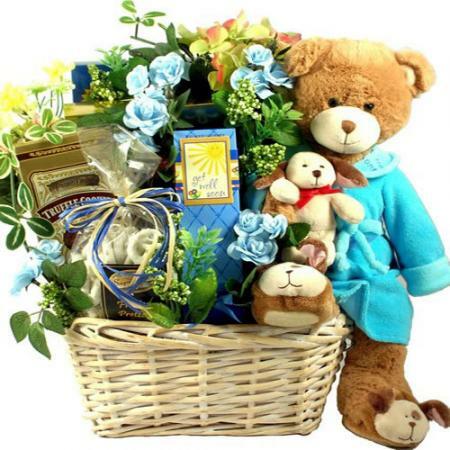 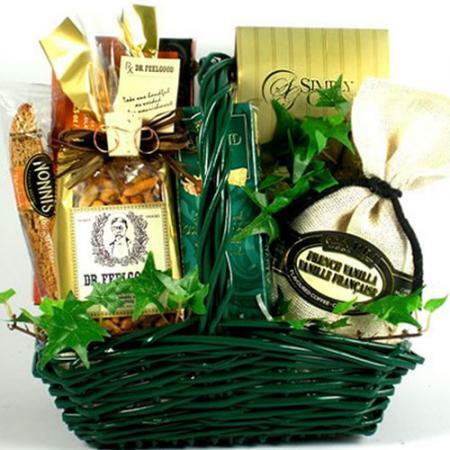 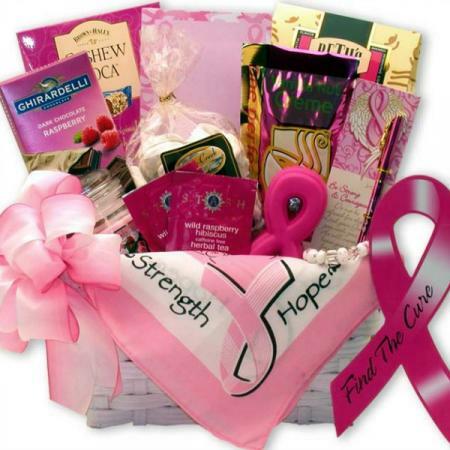 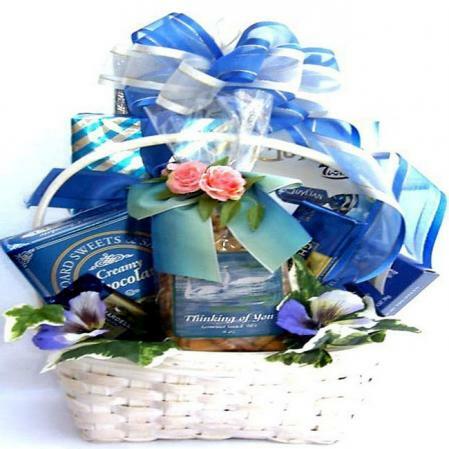 Sending this gift basket to a hospital patient? 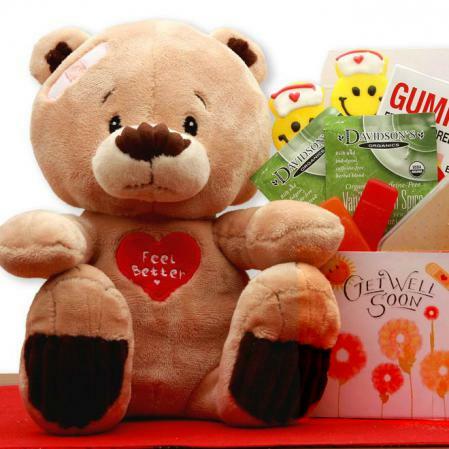 Please confirm that the patient will still be in the hospital when your gift arrives. 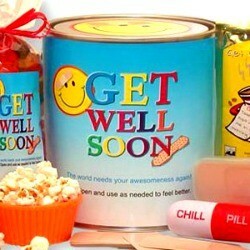 If unsure, please send to patient's home address.